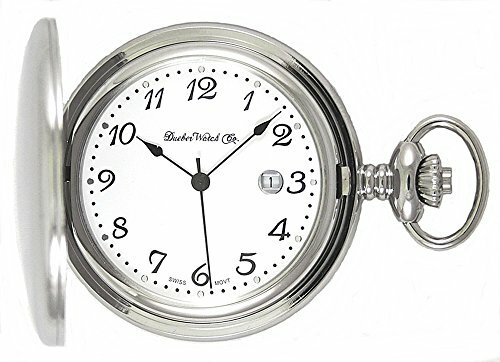 This high quality chrome plated steel pocket watch from Dueber Watch Co is an excellent value! It features an accurate and durable Swiss Made movement. The front cover is opened by pushing the button on the crown. The rear cover does not open. If you are looking for a high quality Swiss timekeeper to carry daily and be serviceable for the foreseeable future, this is the watch for you!